Last month I addressed the serious topic of Death and the disposition of your remains. On an only slightly brighter note, this month’s article is focused on the main thing on everyone’s mind at this time of year: Taxes. Most of us have heard a variation of the quote above, “The only two certainties in life are death and taxes,” usually attributed to Mark Twain. And almost three hundred years after Bullock first wrote the phrase, it is our experience that the statement holds true! Failure to File Penalty – If you don’t file your return on time (or request an automatic 6-month extension to file), the penalty is 5% per month (or any portion of a month) on the amount your return would show that you owe. This penalty caps out at a maximum of 25% after 5 months. Failure to Pay Penalty – Even if you do file your return on time, if you don’t pay the amounts owed by April 15th (or the following Monday if it falls on a weekend), there is a penalty of 1/2% per month (or any portion of a month) on the amount that your tax return would show that you owe. As you can see, even if you can’t pay it on time, it’s better to file and owe 1/2% per month than to NOT file at all and owe 5% each month. If you fail to file and fail to pay, the fail to file penalty drops to 4.5%, so there’s still only a 5% per month combined penalty for up to 5 months (25% maximum). However, the 1/2% penalty per month can continue on for another 45 more months after that if you don’t pay, which means your maximum penalty could be 47.5% of what you owed in taxes. And what’s worse, these are just the penalties—you will also owe interest on the unpaid tax amount up until the time it’s actually paid. Missed Estimated Tax Payments Penalty – The final penalty to be concerned about comes into play if you were obligated to make estimated tax payments throughout the year, and did not do so on time. The penalty here is 3% more than the federal short term interest rate from the time it was owed until the time you pay or April 15th, whichever comes first. What should you do if you can’t pay? There are a few options. You can request an Undue Hardship Extension using IRS Form 1127 submitted with a statement of your assets and liabilities together with an itemized list of receipts and disbursements for the 3 months prior to the tax due date. You have to show that paying taxes would be a real hardship and not merely an inconvenience, and you also have to show that you can’t borrow the money. Another option, if you can, is to borrow the money. You can borrow from friends and family, or pay with a credit card. If you have a home equity line of credit, you can draw from there to pay taxes and the interest paid on the home equity line is tax deductible for the next year. Otherwise, if you just borrow money as a personal loan to pay taxes, the interest owed is not tax deductible. 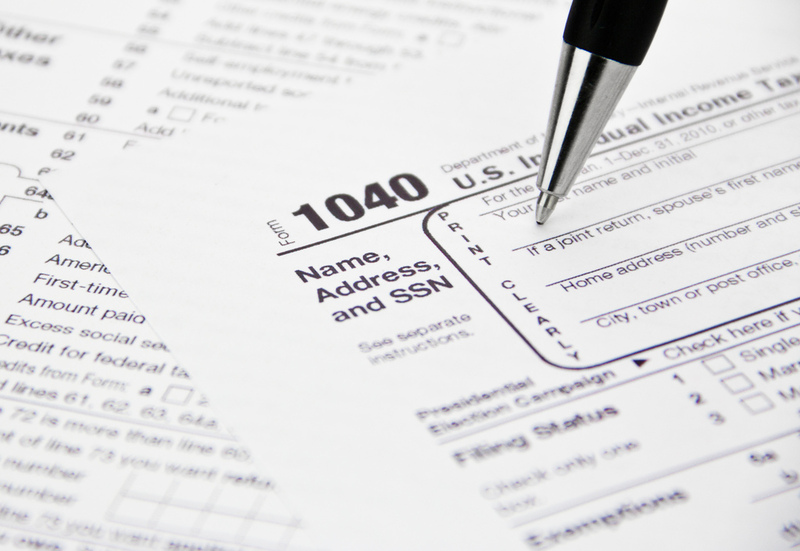 Finally, you can request an Installment Agreement using IRS Form 9465. For a $105 one-time fee, the Installment Agreement lets you make payments over time and is much easier to qualify for than the Undue Hardship Extension. You won’t have to submit financial statements if you owe less than $50,000 in taxes. If the IRS does grant you an Installment Agreement, you will still owe interest on the late payments, but the Failure to Pay Penalty will be reduced to 1/4% per month. Once you’ve got your taxes filed and paid (or a payment plan worked out), you should call and make an appointment with your estate planning attorney to take a look at and maybe update your estate plan. Estate planning is a process—not a one-time event. A lot of things can change in a year. The laws change, your desires change, your family situation changes (children get married or divorced, family members pass away), and you dispose of and acquire assets. It’s a good idea to at least update your power of attorney frequently and double check how all of your accounts are titled and beneficiaries are designated. Also, depending on your situation, there may be some suggestions that your Estate Planner or Accountant will have that can help to reduce your taxes for the upcoming year. See you in the office!